At 13 kg the STi 203 easily moves from location to location. Inverter-based, DC power source has a simple-to-use operator interface providing only the necessary controls in a compact machine. Easy installation - no manual linking, providing convenience in any job setting. Ideal solution for dirty or unreliable power. Lift-Arc™ start provides TIG arc starting without the use of high frequency. Easy installation - no manual linking, providing convenience in any job setting. Ideal solution for dirty or unreliable power. 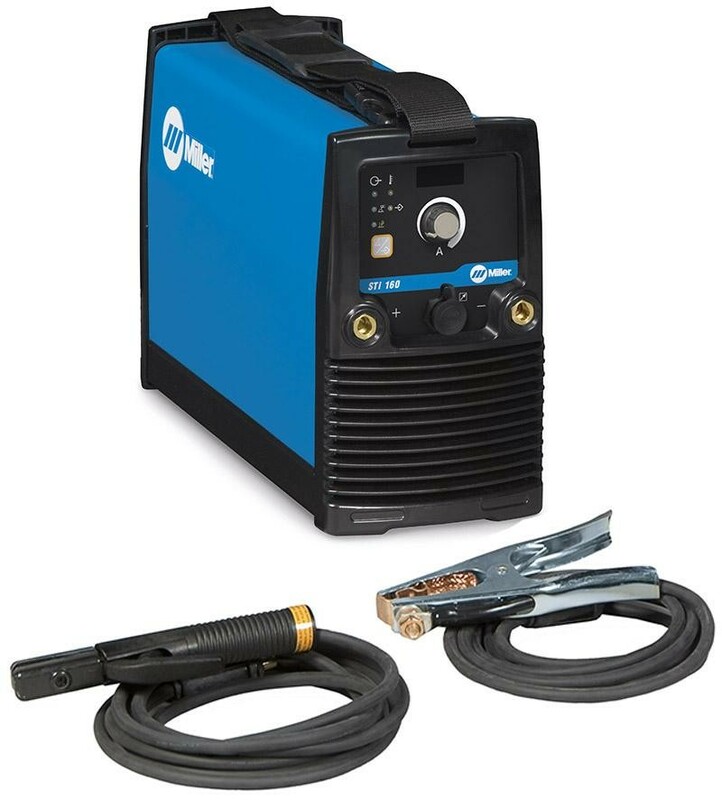 Adaptive Hot Start™ for Stick arc starts, automatically increases the output amperage at the start of a weld should the start require it. Prevents the electrode from sticking and creating an inclusion. Remote amperage control provided through 14-pin receptacle on front of the machine. This permits use of the standard remote amperage control devices.